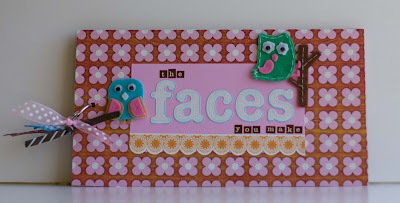 My Cluttered Corner: ScrapTiffany Blog Hop!! 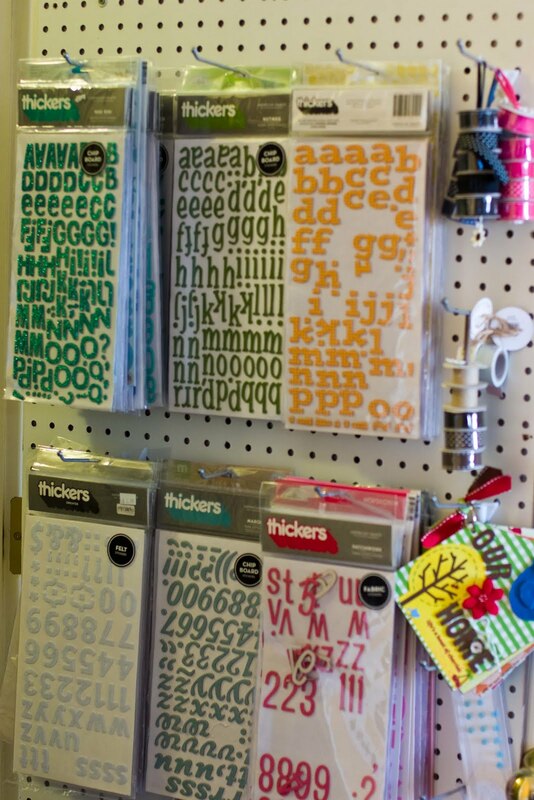 you know, those plastic sleeves that so many scrapbook products come in. 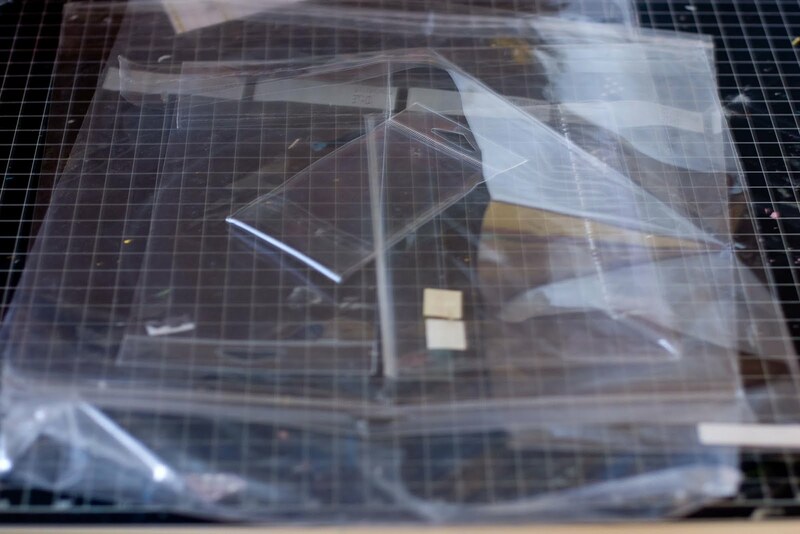 The plastic sleeves are great for purchasers to be able to see what they are buying, but they are not recyclable, so I wanted to find some ways to use them on my projects. 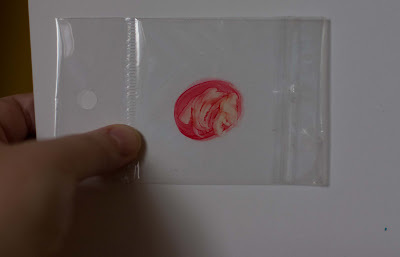 My goal was to find the top 10 uses for plastic sleeves, and I came close to that many. I took a few empty sleeves, and slid photos matted on patterned paper into them. Then I covered plain chipboard which I had cut to slightly larger than my largest sleeve. Finally I used my cropadile to punch a hole through both chipboard pieces and put a jump ring through the chipboard and through each hole that the packaging sleeves had (for hanging from a store's hooks). For this layout I used sleeves in several ways, First, I die cut flowered shapes into two 6 inch strips of plastic and used those die cut strips as masks for the background of this layout. Then I took the die cut plastic flowers and layered them with crackle paint and popped them up with pop dots. Finally I took one 12" strip and dripped alcohol ink onto it. When the strip was dry I sewed it onto the bottom of my layout. 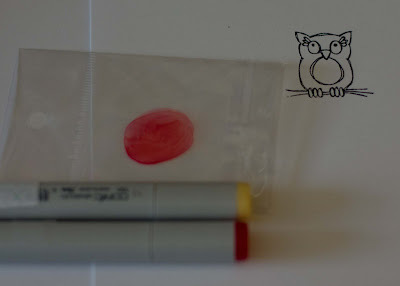 Like I've mentioned before, I am not a Copic instructor, but I do know that you can use a bit of plastic sleeve as a palette to mix two Copic marker colors. Color a large dot of the darker of two colors you plan on using on the sleeve. 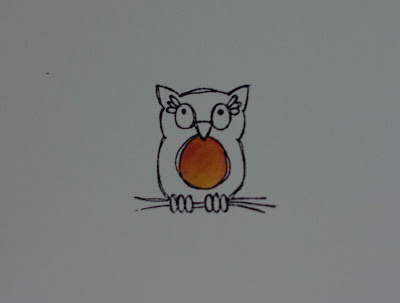 Then pick up some of the dark color with a lighter color marker. 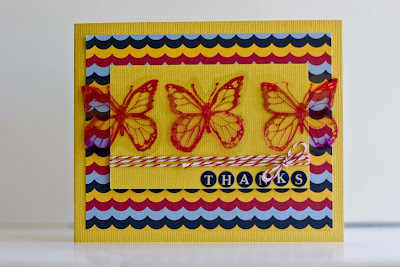 Use the mixed color for a cool mixed effect. 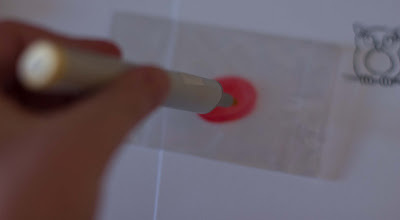 If you use Staz On ink, you can stamp right on a plastic sleeve to create your own transparency. For this card, I stamped 3 butterflies with Staz On red then cut around the butterflies and used a small glue dot under the butterfly body to lift it slightly off the card. 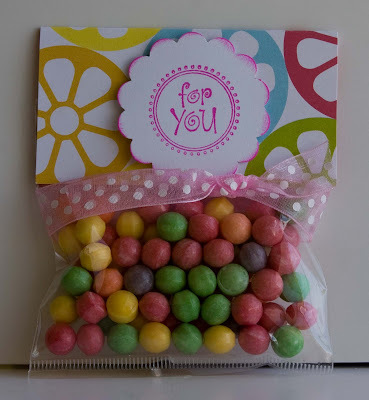 Fill with some candy and fold a piece pf patterned paper and a small tag on top and voila you have your own little treat bag! And now, let me direct you to the next blog on the hop. 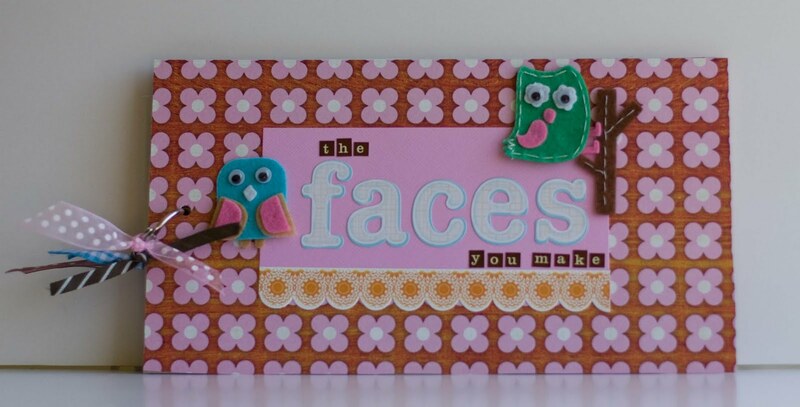 Please continue on to Sandie's blog for some inspiring recycled projects! Enjoy the rest of the hop and thanks for stopping by! I have so many of those also, what a great idea to use them like that. Awesome Ideas Rebecca! Love the uses for the bags, I have tons of those! it you could just wipe it and use it again. What clever ideas! Love them and will definately be using them! FANTASTIC ideas Rebecca!! Love the little butterflies! Another idea to add to your top 10 might be to make a shaker box/window. my addition to this AWESOME list is to use it to stamp a mirror image. STamp with die ink onto the bag, then transfer that onto paper.. stamp with the stamp again on the paper to give you a clean version and a mirror image that when added with a bit of "water" swirls can be a reflection in a pool or lake! Love this for a tree stamp! Wow, such awesome ideas Rebecca! Very creative uses of those plastic sleeves! Fabulous ideas! I can totally see me doing a few of them! BTW, your kiddos are seriously cute! These are some great ideas. I hate throwing all these bags away and keep trying to find ways to use some of them. TFS. I too keep a bog full of these bags and sleeves. I use them as a "window" for a home made box or for shaker boxes where you need the "acetate" - some plastic is strong enough to use for shakers. you are so clever! looove these ideas and the projects! You sure came up with a lot of creative uses for the plastic sleeves! 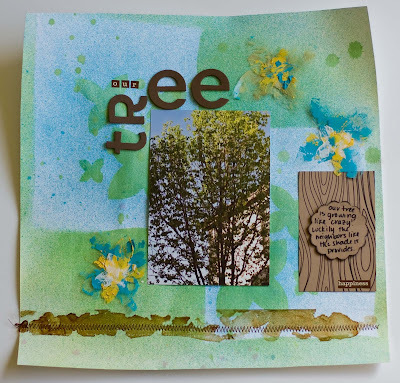 I love that border you did on the tree page with the alcohol inks! Awesome look! what a fantastic post ! i really like the idea of using them to mix ur copic colors with....supern idea !!! These ideas are super cute! Thanks for sharing them. I save and use mine as well, I have never seen the candy idea!! Am defiantly using that for party favors!!! Thanks! I like the transparency idea... so smart! I really like the candy bag project! Great idea for some upcoming birthdays. I knew those little packages were good for something. Thanks for sharing your ideas. Thank you so much for the inspiration. 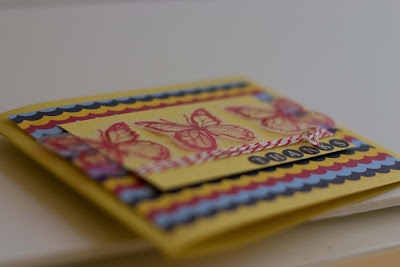 I really liked the idea of stamping to make tranparencies and look forward to trying it myself, loved the way the butterflies looked! i love your ideas i also reuse the bags for getting ready for our monthly crop. I love your ideas!! 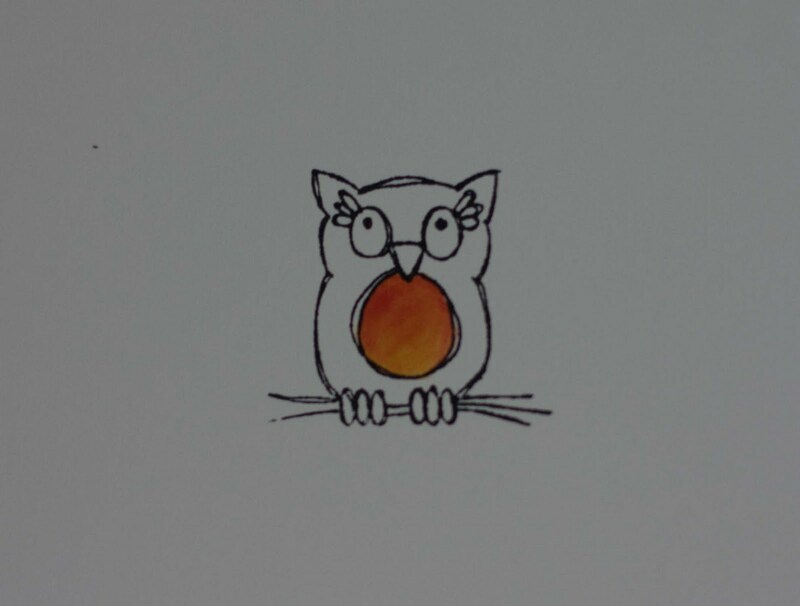 so cute and clever :) Thanks for sharing!! Oh I love your ideas! I participate in a lot of swaps and I love to put the swap items in those bags. It keeps them safe during the mailing process and it also looks more professional than using regular zipper top bags. I love love love your projects for these sleeves! wonderful ideas! I save the 12x12s to organize layouts that I take to crops. I put in my paper, photos, embellishments, etc. already to scrap. I love this idea. I use my bags like this to put supplies in to take to a crop so I don't have to take a lot of stuff. Very smart! I love all the ideas. Great job! !